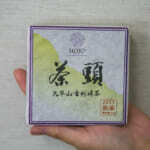 In HOJO’s tea lineup, we have many teas produced in Yunnan Province of China. 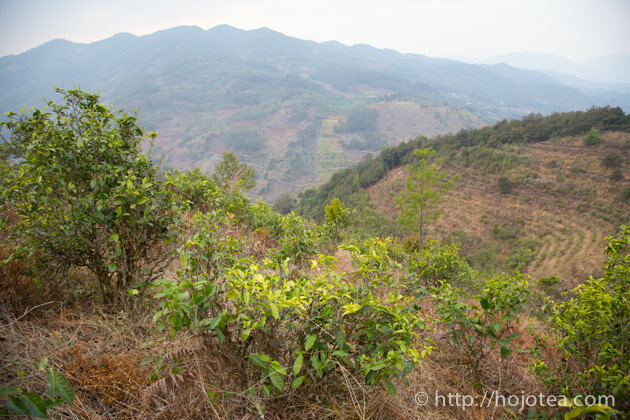 We are always interested in Yunnan tea because if we work very hard to search we are still able to find some natural farming tea gardens in Yunnan. The quality of tea collected from those natural farming gardens is outstanding; in particular the aftertaste is very long-lasting. However, we also do have a dilemma with Yunnan tea. Many tea manufacturers in Yunnan are very rough in tea handling and processing management. 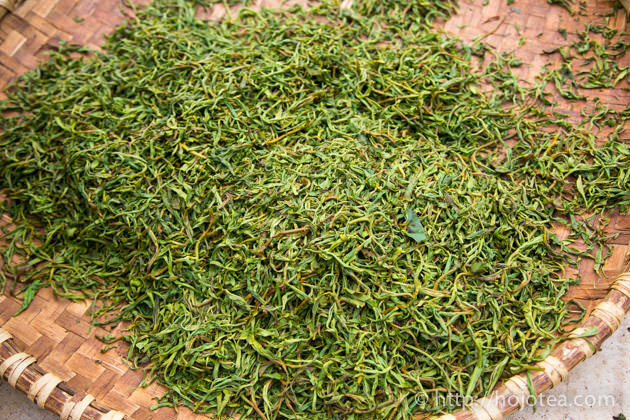 In most cases, the fresh tealeaf is damaged and turned into dark color before it reaches the tea factory. 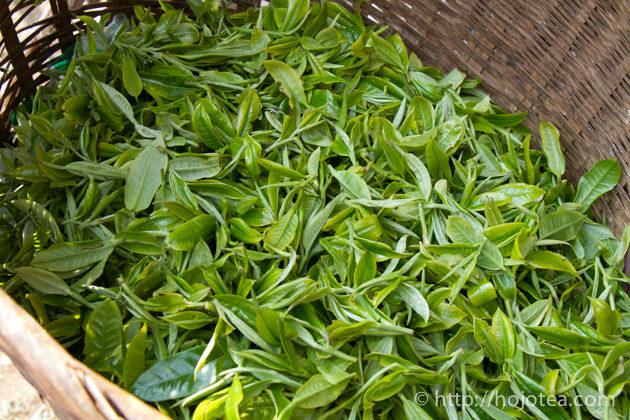 Despite the fresh tea leaf is of good quality, it is often spoiled during the process of tea making. 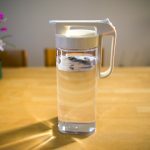 As we are well aware of these problems, we practice unique method to manage the quality of our teas. Since 2015 we stopped buying the ready-made tea directly from tea manufacturers. Instead, we request the reliable tea manufacturers to produce the tailor-made tea for us. Before 2015, we often visit the tea manufacturer and evaluate the teas they have already produced. 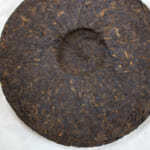 We conduct series of tasting and we buy the particular bags of tea if we found the quality is meeting our requirements. Literally we were buying from the manufacturer. However, I felt we could get even better tea if we manage some aspects as follow. In Yunnan, tea gardens, especially those consist of old tea trees, are generally owned by the minority ethnics who lives in mountain. They pluck tea and sell the fresh leaves to the tea manufacture. Sometimes they also produce tea themselves and sell as raw pu-erh teas. But their skill in making tea is obviously very unrefined and too wild. They are lack of consistent control on the tea process parameter. They often burn the tea and tea usually has many other quality defects. 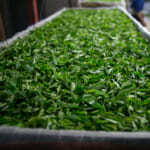 The tea manufactures purchases tea from many farmers and usually classifies the leaves according to their own criteria. If we want to produce tea from the garden we like, we need to visit there before tea season starts and clearly specify the exact location for the farmers to collect tea. 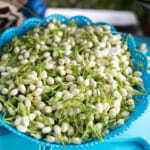 We usually specify the area, garden and what type of tea tree. I usually give them a few criteria to make sure that our teas are collected from the natural farming garden. There are a few different plucking standards for pu-erh tea, such as 1 bud 1 leaf, 1 bud 2 leaves, 1 bud 3 leaves and random plucking. The plucking standard affects the flavor and taste of tea. So we always like to determine the plucking standard for the each tea according to cup characteristic we want. 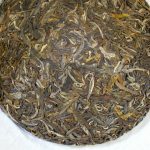 For example, we request 1 bud 2 leaves for making Yan Ming Shan raw pu-erh tea in order to emphasize its creamy texture and mellow taste. On the contrary, we request 1 bud and 3-4 leaves for Wu Liang Shan and Ma An Shan raw pu-erh in order to get stronger taste, less bitter and fruity flavor. In making pu-erh tea, there are a huge variance among the manufacturer in regards of withering time and pan-frying method. 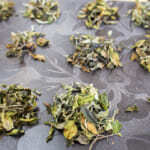 The longer the withering is conducted, the lesser the moisture remains in tealeaf. Eventually it is very difficult to manage the pan-frying process because of tealeaf with less moisture content will easily burnt. However, if pu-erh tea is produced without sufficient withering process, it tends to give greenish flavor (箐味）. Nowadays, there are more and more tea manufacturers conduct very light pan-frying, and the enzyme is still active for further fermentation during the sunshine drying process. With this light pan-frying method, they can get rid of the greenish flavor as floral flavor is developed during the sunshine drying process. Tea gives flavor reminiscent of light fermented oolong tea. However, the lightly pan-fried tea is not very ideal for aging. We always like to manage both withering and pan-frying so as to produce the tea that is nice to drink when it is fresh as well as ideal for aging. 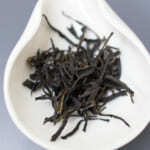 Besides pu-erh teas, we also tailor-made our black tea and white tea. I have been kept visiting Yunnan Province since 2010. But we only started implementing the tailor-made tea production since 2015. For tailor-made tea, we need to responsible for the tea we requested. 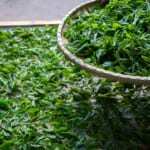 This method is relatively more risky if we do not know how to determine the tea leaves, agriculture, and manufacturing process. Nevertheless, most importantly we must have a good relationship and mutual understanding with the tea manufacturer to share the philosophy in tea as us did. In fact, we are not the only one who buys tea in tailor-made production style. Some China tea companies who are extremely particular about the quality do practice the tailor-made production too. Since we are improving many aspects year by year, I am pretty much looking forward to tasting the latest tea we commissioned.